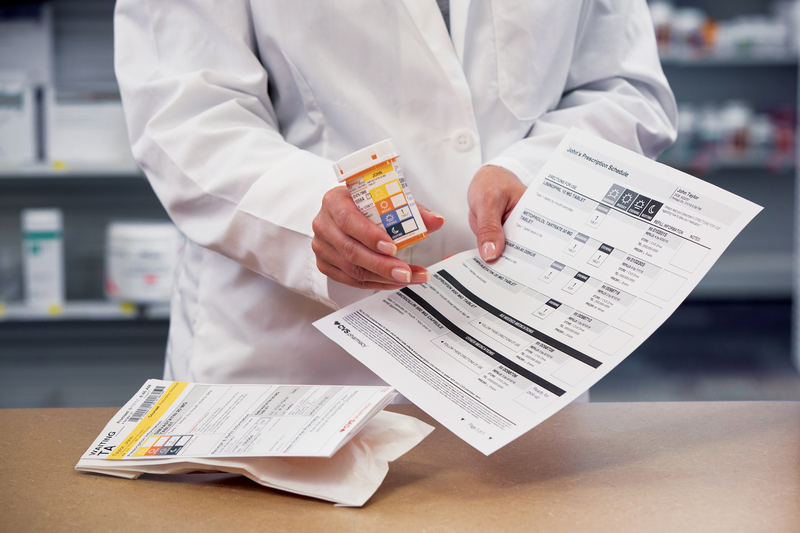 CVS Pharmacy, the retail division of CVS Health (NYSE: CVS), introduced its new ScriptPath Prescription Schedule for retail pharmacy patients who manage multiple prescription medications. The ScriptPath Prescription Schedule features all of a patient’s current CVS Pharmacy prescription information in one place – including which medications the patient takes, when the patient should take them, and how much of each medication should be taken in each dose. Using easy to understand icons, the new schedule was designed to improve patient understanding and enhance patient safety by simplifying how patients take medications and how caregivers give them. 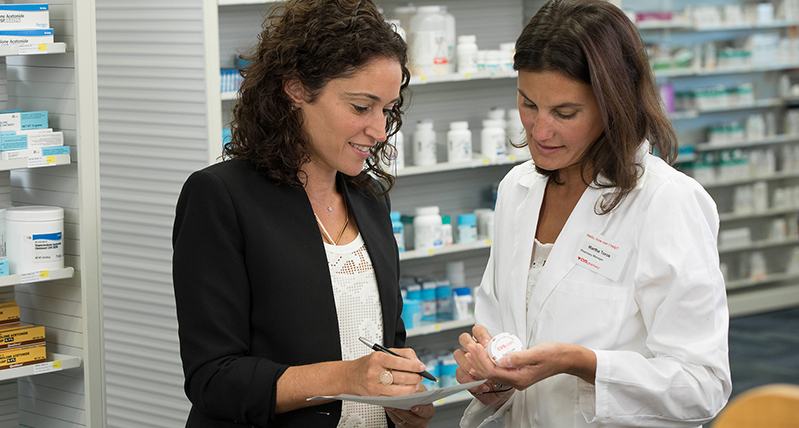 CVS Health partnered with Deborah Adler (MFAD ’03), known for her past work on Target’s ClearRx prescription packaging system, to ensure all of the elements of the new ScriptPath prescription management system were easy for patients to read and to understand. Adler, the inventor and lead designer of the new ScriptPath system, worked with the CVS Health team to develop the easy-to-understand icons and an intuitive layout for each of the ScriptPath offerings. We asked Adler to talk more about this new system. Is the ScriptPath System a replacement for ClearRx? No. I had been working on this project well before CVS acquired Target’s pharmacies and before they decided to phase out the ClearRx bottle. How long have you been working on this and what are the key distinctions between ScriptPath and ClearRx? I have been rehearsing for this moment my entire professional career, and believe my experience with ClearRx was the first step. ScriptPath is solving a different problem than ClearRx, a larger problem. Imagine a table filled with medication bottles, dispensers, and pharmacy printouts with different instructions on each of them. This table is where any confusion about how much to take, and when to take it, gets multiplied by the number of prescriptions a patient has. It can be incredibly overwhelming, just think about what that means times 4 or 5 or 10 prescriptions a day! Nobody would design this system, and nobody did design this system. It’s the opposite of empathy. Streamlining this dismal experience quickly became an area of great interest to me. I wanted to design a safer, simpler and more effective way for people to manage their medications. When designing ClearRx, I was definitely focused on patient safety and patient care, but I wasn’t necessarily considering the complex drug regimens that patients and caregivers are dealing with every day. ClearRx was very effective in making information more clear and easier to understand. The heirarchy of information on the label, the color coding, the flat surface, all of these things helped change the way people think and interact with pharmacy. Because of this work, more people now see that patients – like my grandma Helen – weren’t simply end users, they’re part of the health care process. Now we have set out to understand the challenges that today’s patients face in a world of increasingly complex medication regimens. This new ScriptPath system organizes your medications and looks across the time of day — morning, midday, evening and bedtime — and creates a schedule of sorts. People can clearly understand dosages and timing, even if they have trouble with literacy — and most importantly, they don’t make mistakes. It’s about helping people manage their lives, it’s almost like bringing your pharmacist home with you to manage all your medications with you. ScriptPath is a perfect example of how design can play a key role in improving clinical care. Why was ClearRx phased out when CVS took over Target’s pharmacy? As the pharmacies inside Target’s stores transitioned to CVS Pharmacy, CVS replaced the Target ClearRx bottle with the same prescription bottles used by all other CVS Pharmacy locations. It didn’t make sense for them to keep two different systems in place. What were your greatest challenges in designing this system? I kept my eyes on the bigger picture, on the patients, and that kept me going. After CVS got onboard, the work began again and we had plenty of other issues to overcome. 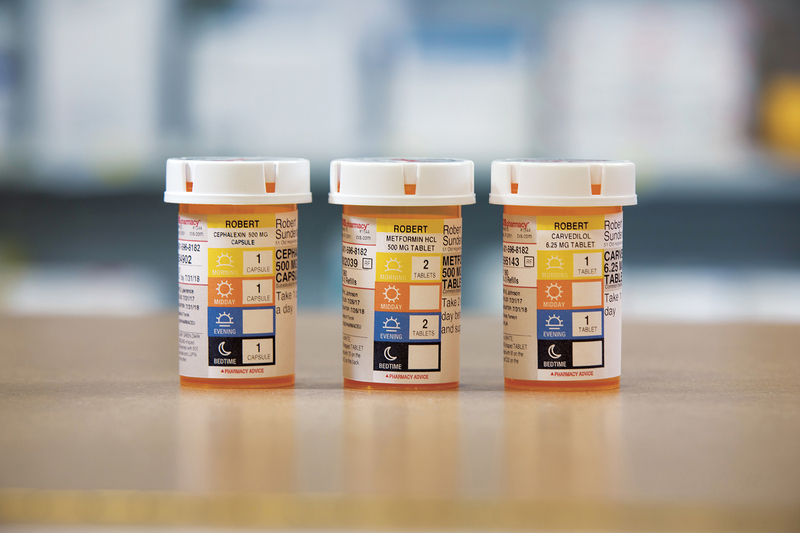 For example, the labels needed to comply with multiple State Boards of Pharmacy. There are so many rules and regulations with pharmacy labeling, and they vary from one state to the next. Combining those rules with a dosing chart on a small prescription label is not easy! My original design intention includes a redesigned bottle, but at such a large scale, we had to prioritize, and in this instance the ScriptPath system actually solved more issues for patients than a new bottle. What will be the measure of its success, perhaps compared to what you accomplished with ClearRx? I am hopeful ScriptPath will be a huge game-changer in pharmacy. It will improve patients adherence and overall health outcomes. It will accomplish this through a simplified medication management process, improved understanding and correct usage among patients and their families. ClearRx was a huge success. Target guests truly appreciated the level of innovation and thoughtful patient care, and they felt more confident and secure when taking their medication. In addition, it raised awareness in the medical community, design community and in the wider culture. We’ve seen an increase in regulation at the local, state and national level, and people started paying closer attention to what patients were bringing home.